iPhones – The world is constantly evolving and with the changes in the trends of technology, we just have to keep up with it not to be left out. Technology has brought amazing pieces of hardware that are not only beautiful to the face and awesome to the touch but essential for day to day usage. That is why it is not common to see someone organize all of their time into that little piece of technology on their hands – the mobile phone. As far as mobile phones go, there are a lot on the market these days and the most sought after has to be the smartphones, a category where the Apple brand of phones – the iPhone – seems to be ruling and enjoying stellar performances in. As much as these pieces of technological hardware can then provide you with comfort of organization and a means to see the world via a little screen, they come with their own problems sometimes. Although it has been optimally built to avoid freak accidents such as would require you to take it for repairs anytime soon, these things do happen and we just have to deal with it. You can never be too careful with an iPhone or any other smartphone for that matter and you might end up dropping it by accident one day, picked it up and found that little crack that all phone users dread so much. It might even be that when your device dropped, instead of landing on that hard pavement floor that would crack its screen, it dropped into water and you got it all wet instead. These are just part of those things that might happen which you would happen to have a clue for. Sometimes, you could just wake up to your iPhone misbehaving which is usually due to a software issue or some other bug fiddling with the OS. In these cases, there is bound to be some frustration. What pains the most is not that the phone got damaged in the first place but getting a genuine and reputable engineer to fix your iPhone becomes a problem. 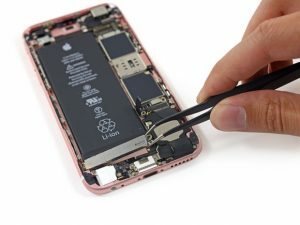 Your device is a pretty expensive piece of hardware and not wanting to thrust it into the hands of an inexperienced engineer is the wise thing to do, but getting a great iPhone fixer who would offer you their services at a great price and without further complaints becomes another herculean task. If you are then in any of these tight situations, Little Havana iPhone repairs just got a new face with 123PcSolutions who are willing to take on any problems that your iPhone has and with their league of experts, figure it all out for you in no time. Asides the timely and inexpensive service, their services extends over various editions of the iPhone and all the most common and rare problems too.